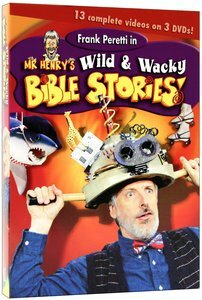 About "Mr Henry's Wild & Wacky World Collection (3 Dvd Box Set)"
Frank Peretti, whose books have sold more than 12 million copies and is widely credited with reinventing Christian fiction. He is the author of Monster as well as the international bestsellers The Oath and This Present Darkness. The Oath has sold more than a million copies and was awarded the 1996 ECPA Gold Medallion Award for best fiction. Peretti lives with his wife Barbara in the Pacific Northwest. Unavailable. We are unsure when this item will be available to ship.